An era in German bookselling history comes to an end: Club Bertelsmann, Germanys first – and for a long time very successful – book club finally closed its last two retail stores on March 31, 2015. What started in Gütersloh in 1950 as Germany’s first book club, the so-called “Lesering,” quickly became a nationwide success story. 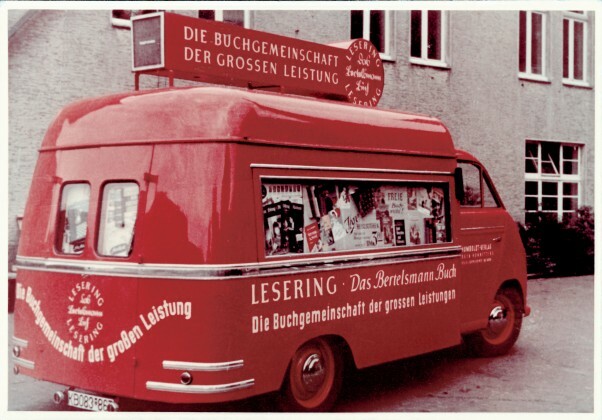 The idea was to sell reduced books via direct distribution to the customer, thus circumnavigating the German fixed book price and appealing to a wide range of avid readers with lower prices. After only six years, Club Bertelsmann already counted 1.6 million members in 1956. In 1964, Club Bertelsmann opened its first physical bookstore in Kiel, reaching out to members and non-members as well, increasing the range of the brand and magnifying the success. In 2009, Club Bertelsmann operated 275 stores in Germany. But with the rise of ecommerce, it became clear that the business model behind book clubs was becoming obsolete. Customers now had numerous options for buying cheap books online and were no longer depending on a Club Bertelsmann membership. Store after store started closing down, with several futile attempts to revive the brand and the idea behind it. Now, the last two stores closed their doors on March 31, 2015. And the brick-and-mortar bookstores are not the only ones closing down. By the end of 2015, the whole direct distribution business will be phased out. So the final chapter of Club Bertelsmann, a once revolutionary idea that is no longer viable for the hybrid customers of today, will come to an end. It will be interesting to see how this affects Club Bertelsmann’s role in the Tolino Alliance — a joint ebook venture backed by five German companies, including Club Bertelsmann, to compete with Amazon.